In 2016, Rio de Janeiro was the focus of the world's attention with the Summer Olympics and Paralympic Games. Several hundred thousand visitors had to make travel plans and determine the best hotels for their stays. 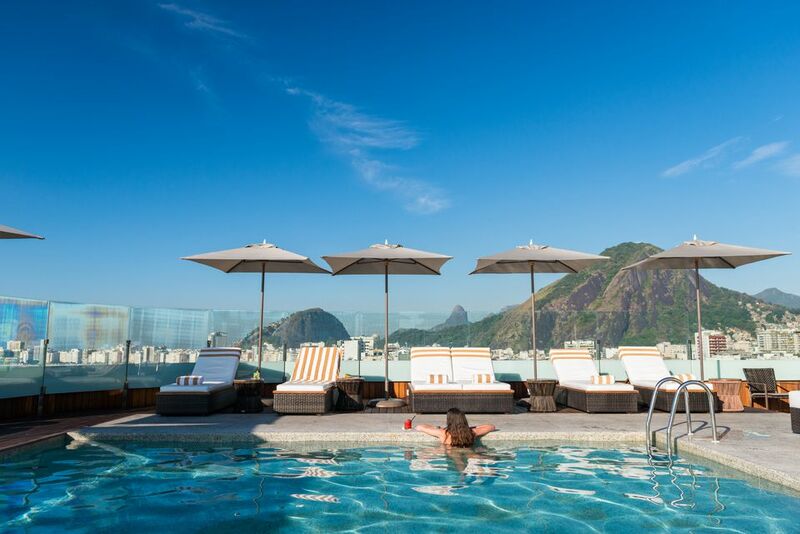 The following seven luxurious hotels in Rio de Janeiro were among the most popular accommodations, offering everything from waterfront views to Michelin-starred restaurants and infinity pools. One of the areas where the Olympic Games took place is the famous neighborhood of Copacabana. Fortunately, one of the most luxurious hotels in the city, the Fairmont Rio de Janeiro Copacabana, is located in the heart of this chic district. What does this hotel offer? Food: award-winning cuisine at the hotel's four restaurants. Convenience: Conveniently located on a stretch of Copacabana Beach, so guests can just walk to the beach, where umbrellas, beach chairs and towels are available. Another neighborhood that played a large role in hosting the Olympic Games was Barra da Tijuca. The Grand Hyatt Rio de Janeiro is an upscale beachfront hotel located three kilometers from the shops and restaurants of the Barra da Tijuca area. Rooms: 436 guestrooms including 42 suites and a Presidential suite with plunge pool. Rooms come with balconies and floor-to-ceiling windows, some with lagoon or ocean views. All rooms have free Wi-Fi, flat-screen TVs, soaking tubs and Nespresso machines. Suites have a separate sitting room. Restaurants: The hotel has three signature restaurants including an elegant Italian restaurant and casual sushi bar. A reflection of the glamour and romance of Rio de Janeiro's past, the Belmond Copacabana Palace was voted one of the top 30 luxury hotels in the world by Five Star Alliance readers. Often considered the nicest hotel in Rio de Janeiro, it's also where the rich and famous stay. Architecture: Opened in 1923, this landmark building's Art Deco exterior was designed by the French architect Joseph Gire. Service: The Belmond Copacabana Palace's beach service includes sun loungers, umbrellas, water and even beach assistants who can keep an eye on your belongings while you enjoy Copacabana Beach. Amenities: A half-Olympic-sized swimming pool, two boutiques, a rooftop tennis court, a fitness center and spa, and the Michelin-starred Pan-Asian restaurant, Mee Restaurant. One of Rio's iconic neighborhoods is Ipanema, the beachfront area made famous by the Bossa Nova tune "Girl from Ipanema." It's located between two areas where the Olympic Games took place--Copacabana and Barra da Tijuca--but was far enough away from the sports action that guests still experienced the real pulse of Rio during the day and night. The Hotel Fasano Rio is the best place to stay in Ipanema. Design: The Hotel Fasano Rio was designed by the famous designer/architect Philippe Starck. Atmosphere: Relax in the hotel's modern sophistication with live music in the hotel lobby lounge, or enjoy the spectacular views over Ipanema Beach from the rooftop infinity pool. Restaurant: The Hotel Fasano is best known for the Fasano Al Mare, Rogerio Fasano's restaurant, dedicated to traditional Italian seafood. There is also a pool bar for a casual meal or light snack. Location: Across from Ipanema Beach in Rio's most exclusive neighborhood, the location doesn't get much better than this. Another luxury hotel located in Copacabana is the Porto Bay Rio Internacional Hotel. This hotel's waterfront location and spectacular views are sure to please. Convenience: Direct access to Copacabana Beach and the hotel's private beach service. Views: The hotel's roof-top terrace gives guests a panoramic view of the water with Copacabana Beach in the foreground and Christ the Redeemer in the background. Services: Multi-lingual staff and high levels of security and comfort, sophisticated communication technology including high-speed Internet connection in every room and WI-FI in all public areas, a pool, pool bar, massage room, two saunas, and a fitness center. Rooms: There are 117 rooms with private verandas or panoramic window views. Another comfortable luxury option in the Copacabana area is Miramar Hotel by Windsor. The hotel is located near the beach but maintains a peaceful atmosphere inside. Rooms: Each of the two hundred rooms are tastefully decorated in calming, contemporary tones of gray and beige and include Brazilian paintings and elegantly designed guest bathrooms. Rooms range from standard to executive and master suites, some with ocean views and spacious apartment-like interiors. Guestrooms feature updated amenities such as complimentary WiFi, minibar, electrical adapters, and iPod docks. Relaxation: The combination of services, including an on-call butler, and atmosphere provide a feeling of relaxation. If you're up for something a little farther out from the center of town, try the Hotel Santa Teresa. This award-winning boutique hotel offers a tranquil yet stylish setting. Atmosphere: Called "a refuge of peace, luxury, and refinement," this unique hotel was built on the site of a historic farm. It now includes beautiful tropical gardens and luxurious, art-filled rooms. One suite offers a wrap-around porch. Location: The hotel's location in the artsy, up-and-coming area of Santa Teresa gives visitors the chance to get to know an authentic side of the city of Rio de Janeiro.